FISHNET team has produced and published a user-friendly guide of Russian companies’ shares and quotas for fishery in 2019. 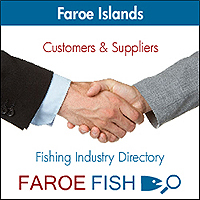 This Excel-formatted guide based on official data from the Federal Agency for Fisheries covers companies’ allocations in the Far East, North, West and Volga-Caspian Fishery Basins, as well as international quotas for capture in the EEZs of Norway, Greenland, in the Faroese fishing zone and in the NEAFC and NAFO regulatory areas. • Rating of harvesters of particular species in particular fishing areas, etc. FREE sample of the guide can be downloaded here. Full version covers quotas and shares of 640 Russian companies (2913 lines).